Part no.5Q0411315A. RSQ3 - 2014 - 2018. RS3 - 2011 - 2013. Q3 - 2012 - 2018. A3 - 2004 - 2013. 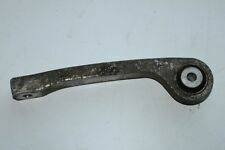 IT IS A REAR ANTI ROLL BAR CONNECTING ROD LEFT OR RIGHT. IT IS A REAR RIGHT OR LEFT ANTIROLL BAR LINK ARM. FITS AUDI A8 MODELS 1994 > 2003. NO LONGER AVAILABLE FROM AUDI. LAST RRP £54.40 FROM AUDI. 8D0411317D - 8D0411317D. RS6 2003 - 2005. RS4 2000 - 2002. A6 & quattro 1996 - 2005. A4 & quattro 1995 - 2001. This is a Frontleft / UK passengers side Anti Roll Bar End C Link for the following cars. IT IS THE FRONT RIGHT UPPER REAR SUSPENSION ARM WITH BALL JOINT. RRP £110.54 FROM AUDI. THIS IS A GENUINE PART NOT A CHEAP COPY. IT IS THE FRONT LEFT OR RIGHT LOWER FRONT SUSPENSION ARM WITH BALL JOINT. THIS IS A GENUINE AUDI PART NOT A CHEAP COPY ! RRP £216.36 FROM AUDI. Audi A6 2009 - 2011. We haven't influence and don't take responsibility for them. Condition is only one. IT IS THE FRONT LEFT OR RIGHT LOWER FRONT SUSPENSION ARM WITH BALL JOINT. THIS IS A GENUINE AUDI PART NOT A CHEAP COPY ! RRP £217.57 FROM AUDI. IT IS THE FRONT LEFT & RIGHT LOWER FRONT SUSPENSION ARM MOUNTING BOLTS (M12 X 1.5 X 85) THEY FIT TO THE FRONT OF THE TWO LOWER SUSPENSION ARMS (YOU ARE BUYING 2 BOLTS). THIS IS A GENUINE AUDI / BENTLAY PART NOT A CHEAP COPY ! Part no.4E0411317F. A6 - 2005 - 2012. Genuine Audi Drop Link. 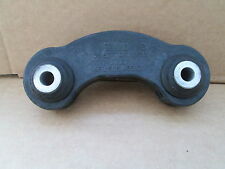 IT IS THE DRIVERS RIGHT SIDE FRONT UPPER FRONT SUSPENSION ARM WITH BALL JOINT. THIS IS A GENUINE AUDI PART NOT A CHEAP COPY. RRP £118.58 FROM AUDI. IT IS THE FRONT LOWER SUSPENSION FRONT ARM WITH BALL JOINT, FITS LEFT OR RIGHT SIDE. RRP £1244.09 FROM AUDI. IT IS A FRONT ANTI ROLL BAR BUSH THE SIZE IS 24 MM. NO LONGER AVAILABLE FROM AUDI. LAST RRP £18.50 FROM AUDI. NEW FRONT ANTI ROLLER DROP LINK - COUPLING ROD. TO FIT AN AUDI COUPE B2. Audi Coupe 1981 1982 1983 1984 1985 1986 19871988. Audi Coupe 1989 1990 1991 1992 1993 1994. AUDI PART NUMBER:855 407 469. Audi 80/90/Avant 1982 1983 19841985 1986 1987 1987 1988 1989 1990 1991 1992. IT IS A SET OF 4 FRONT OUTER ANTI ROLL BAR BUSHES. 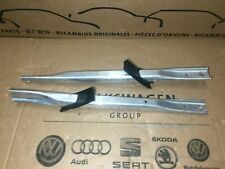 FITS AUDI 100 / 200 MODELS 1982 > 1990. RRP £80.96 FOR A SET. Part Number: 4F0505465N. We will gladly assist you with this confirmation. Left Hand Drive. Are you in the. We are based in the. Are the parts in the original boxes?. Part number: 8K0411317C. We are breaking a 2008 Audi A4 Avant B8 / 8K (Pre-Facelift) 2.0 TDi Diesel 143 BHP. 5 Door Estate 8 Speed Automatic RHD. Shelf Location: 1A71. Wing Mirror Type. Screws, nuts and bolts are also classed as a free gift if included. Cash on Collection. Engine Parts/Bay. Exterior/Body Panels. Cradley Heath. Powke Lane. Latest Products. Other Spares. 01384 918590. NS is Nearside, Left, or the passenger side in the UK. AUDI A4 B8 SALOON 2009 S-LINE. AUDI A4 B8 08-12. FRONT ANTI ROLL SWAY BAR. We won’t take any responsibility for the compatibility of parts unless we have explicitly said it will fit. $AUDI A4 B8 2008-2012 FRONT SWAY BAR STABILIZER CONNECTING LINK ROD 8K0411317C AUDI A4 B8 2008-2012 SALOON FRONT SWAY BAR STABILIZER CONNECTING LINK ROD fit OS RIGHT or NS LEFT PART NUMBER - 8K0411317C An item that has been previously used. The item may have some signs of cosmetic wear, but is fully operational and functions as intended Please note eBay's Compatibility Checker does not take into account model specific parts and only generalises correct fitments.Please use Part Numbers that we providing for compatibility WE SUPPLY GENUINE USED AUDI PARTSWe maintain a clean and safe environment and are fully licensed and regulated by the Environment Agency. Audi parts available off the shelf, and because they are all genuine parts, quality and correct fitment is always guaranteed. $AUDI A4 B8 A5 2010-2014 FRONT LINKS FOR SWAY BAR 8K0411317D AUDI A4 B8 A5 2010-2014 FRONT LINKS FOR SWAY BAR ( x2 ) PART NUMBER - 8K0411317DREMOVED FROM VEHICLE : AUDI A4 B8 2012 SALOON SE 2.0TDI Body Style:4 DOOR SALOON Colour: BLACK Engine Type:1968 cc Drive:2 AXLE RIGID BODY Engine Code - CJCB Transmission Code - NSX Manual 6 Speed Colour Code - LY9B Odometer Reading - 68561 Miles An item that has been previously used. The item may have some signs of cosmetic wear, but is fully operational and functions as intended. Please note eBay's Compatibility Checker does not take into account model specific parts and only generalises correct fitments. Please use Part Numbers that we providing for compatibility WE SUPPLY GENUINE USED AUDI PARTSWe maintain a clean and safe environment and are fully licensed and regulated by the Environment Agency. A1 - 2011 -. Genuine Audi Drop Link . 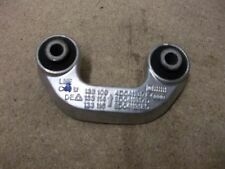 IT IS A REAR RIGHT ANTIROLL BAR LINK ARM. RRP £44.56 FROM VW. ARB Front: 32 mm. ARB Rear: 24 mm. Eibach Uprated Anti Roll Bars reduce body roll through increased design stiffness over the original roll bars fitted to the vehicle. They allow fine tuning of the vehicle's suspension for precise, crisp predictable handling and are designed to fit the specific vehicle without modification. ARB Front: 28 mm. ARB Rear: 23 mm. Audi A5 (8T3) 1.8 TFSI, 2.0 TFSI,, 2.0 TDI, 2.7 TDI, 3.0 TDI, 3.2 FSI, S5 06/07 on Eibach Anti Roll Bar Kit. Model: 1.8 TFSI, 2.0 TFSI,, 2.0 TDI, 2.7 TDI, 3.0 TDI, 3.2 FSI, S5. Used Condition! Have minor mark, dents, scratches. YOU WILL FIND MORE INFORMATION ABOVE. All parts are used, fully tested and are in fully working order, unless stated in the title. A8 1994 - 1999 . A4 1995 - 1997 . This is a frontright / UK drivers side rear upper suspension arm for the following vehicles This is a new,genuine Audi part. This is a new, genuine part. Part number. NS is Nearside, Left, or the passenger side in the UK. AUDI TT Mk2 8J 2008 2.0 TFSI. AUDI TT COUPE 2008. FRONT ANTI ROLL SWAY BAR. Audi parts available off the shelf. We won’t take any responsibility for the compatibility of parts unless we have explicitly said it will fit. $AUDI A4 B7 2004-2008 OS RIGHT ANTI ROLL MOUNTING/BRACKET 8E0199352N AUDI A4 B7 2004-2008 OS RIGHT ANTI ROLL MOUNTING PART NUMBER - 8E0199352N An item that has been previously used. The item may have some signs of cosmetic wear, but is fully operational and functions as intended Please note eBay's Compatibility Checker does not take into account model specific parts and only generalises correct fitments. Please use Part Numbers that we providing for compatibility. WE SUPPLY GENUINE USED AUDI PARTSWe maintain a clean and safe environment and are fully licensed and regulated by the Environment Agency. Audi parts available off the shelf, and because they are all genuine parts, quality and correct fitment is always guaranteed. Part Number 857407474. Audi Coupe Quattro 1988-1994. Audi Quattro Sport 1980-1991. Genuine Audi Part. Audi Coupe 1981-1994. With your order efficiently and without any delay. Years, engine2007m., 171kw, 3000cc. The carAudi Q7 (4L). Body Parts. Warranty on electronic devices is void if identifying mark is removed or has sign of tampering. An item that has been previously used. 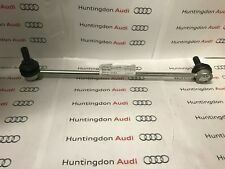 AUDI A5 2018 2.0TDI QUATTRO, AUTOMATIC GEAR BOX - REAR RIGHT SIDE STEERING TIE ROD 8W0505465B / 8W0 505 465 B. Part Number: 8W0505465B / 8W0 505 465 B. Year Of Manufacture: 2018. Item removed from fully working vehicle. RS6 2003 - 2005. RS4 2000 - 2002. A4 1995 - 2001. This is a new,genuine Audi part. 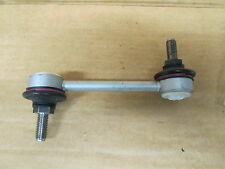 This is aright / UK drivers side Anti roll Bar End Link for the following cars Part number. Alternative part numbers. Here we have for sale: Audi Q7 4M 15-18 3.0TDI RHD Front Anti Roll Sway Bar Bracket 4M0411336D. Part Number: 4M0411336D. Model: Audi Q7. Pictures taken are of the actual item you will receive. Here we have for sale: Audi S4 B9 3.0 TFSI 16-19 RHD Genuine Left & Right Strut Brace Bars 8W0805646B 8W0805645B. Part Number: 8W0805646B 8W0805645B. Model: Audi. Pictures taken are of the actual item you will receive. High Quality Durable Suspension Components Supplied! NOTE: All our parts are from RHD (Right Hand Drive) vehicles. All our parts are genuine! Part Number: 8K0411317C.and don't forget drive safely! We will always respond! Notes: Price is for one unit. MPN 8E0411309P. Category veiocolo: SW STATION WAGON. Year: 2006. Engine code (located at point P5 of the booklet): BRB. Being the parts used may have slight signs of wear and tear. 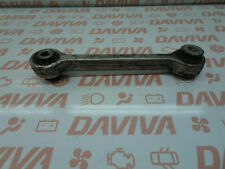 AUDI A4 B6 2.5 TDi V6 2001-2004 FRONT ANTI ROLL BAR STABILISER DROP LINKS PAIR 133109 / 133114 / 133116 ,AS PICTURED. MAKE AND MODEL: AUDI A4 B6 2.5TDi QUATTRO, 5 DOOR SALOON. ENGINE: 2.5TDi (2496cc) DIESEL. The New and Used Audi Parts Specialist for all Audi models worldwide. It may fit others. Audi Part Number: 1J0 411 316 D. Donor Car Colour: Bodywork is N/A. Interior trim is N/A. PART NUMBER: 8V0511305A. AUDI RS3 2015-2020 QUATTRO 2.5 TFSI REAR ANTI ROLL SWAY BAR I N GOOD USED CONDITION. UK - NORTHERN IRELAND, SCOTLAND, HIGHLANDS, ISLANDS ETC. 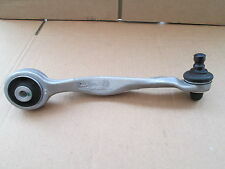 8K0411309K FRONT STABILIZER BAR AUDI A4 AVANT < span class = notranslate ' > 2.0 TDI 88KW 5drs D 6 m (2010) PARTS USED. MPN 8K0411309K. Category veiocolo: SW STATION WAGON. Engine code (located at point P5 of the booklet): cag.